The R@SKLs still had the 1,200 plus meters / 3,900 plus feet of climbing to Fraser’s Hill, from the weekend before, in their legs. 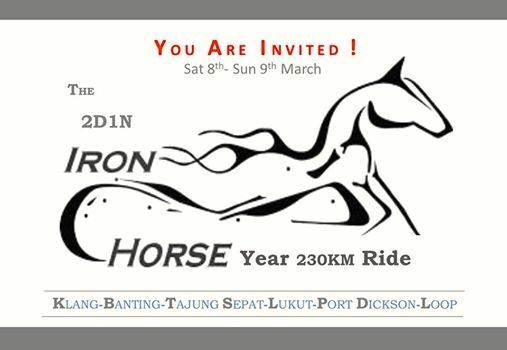 So for this weekend’s ride they opted for the flat run from Kota Kemuning to the beach at Morib. Sixteen of us gathered at BR Maju Restaurant in Kota Kemuning. 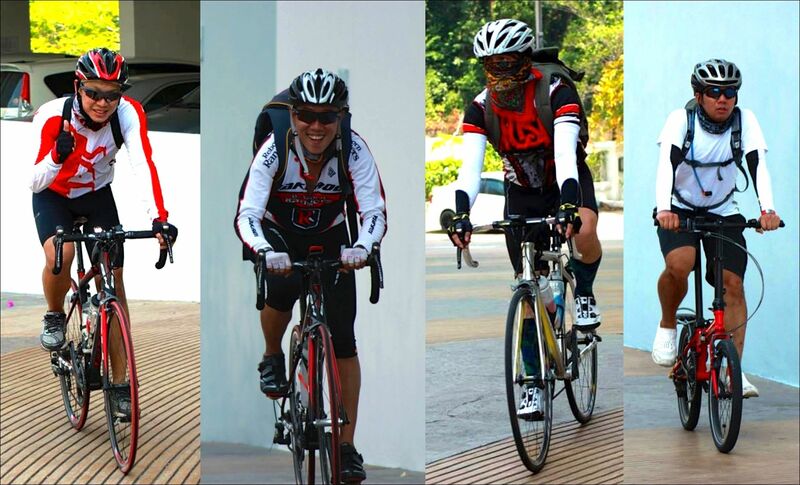 We weren’t the only ones in lycra at BR Maju. It is a popular spot for cyclists to have breakfast, or just a drink, before heading out on their rides. My previous rides to Morib have been westward on the motorcycle path alongside the KESAS Highway, and then south on Jalan Klang Banting. The ride along the motorcycle path is nice enough, especially on Sundays when there are few motorcycles on the path with you. The riding on Jalan Klang Banting, however, is truly unpleasant. That road has been damaged by the constant heavy vehicle traffic. Cyclists face more than 10km / 6mi of potholes, ruts, lumps and bumps. 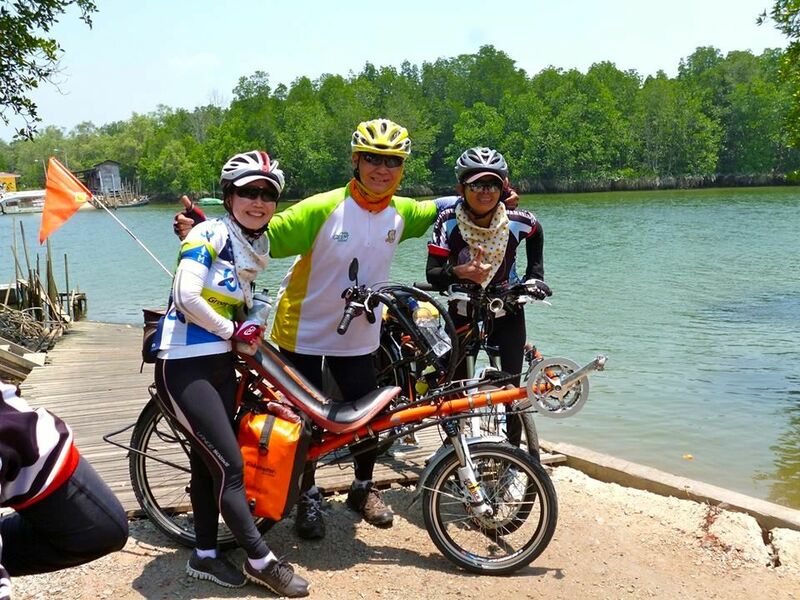 This time Meng and CK led us along a much more pleasant route southward from Kota Kemuning to Bandar Rimbayu and the bridge over the South Klang Valley Expressway (SKVE). From the SKVE crossing to Jenjarom, the riding is along 14km / 9mi of well-surfaced, lightly trafficked kampung roads. The occasional speed bump is much more preferable to the minefield that is Jalan Klang Banting. We did have to ride northwest along Jalan Klang Banting to get from Jenjarom to Jalan Bandar Lama. Whilst the road surface along that 4.5km / 3mi section was not great, we had avoided the worst ruts and potholes to the north. The right turn onto Jalan Klang Banting confused some of us. A left turn onto Jalan Klang Banting, aka Federal Route 5, would take us south and then west through Banting town and onward to Morib. Surely turning right would add distance to our ride? Turning right instead of left did add 6km / 4mi to our ride. The reward for riding extra kilometers was that once we were on Jalan Bandar Lama, we rode over well-surfaced and quiet roads to Morib. Although the road surface south along Federal Route 5 from Jenjarom to Banting and then Morib does improve, there is always a lot of traffic to deal with. Thumbs up for the coastal route. The group had been divided about where to eat and drink in Morib. Delicious Bread Coffee Shop was on the minds of some. As the name suggests, their kaya toast is delicious. But the coffee shop had run out of nasi lemak by the time we got there, so we opted for the food stalls along the beach instead. I had not noticed, but our group had shrunk by one. 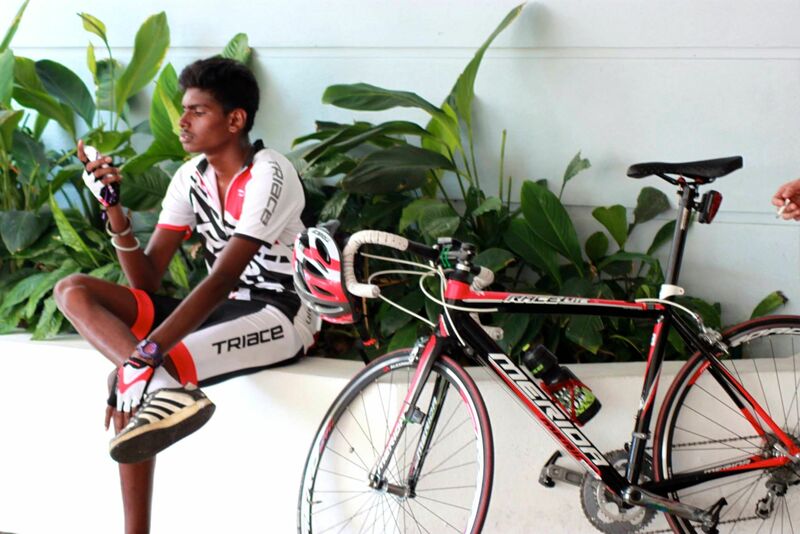 Leonard’s bicycle had started making worrying noises as we left Kota Kemuning, so he headed back to his car. And drove to Morib. I’m not sure which he wanted to see more, us or the nasi lemak! This is what everyone had been waiting for. We found a helpful tourist to take a group picture of us at the beach. I suspect that most tourists are disappointed when they see Morib beach. 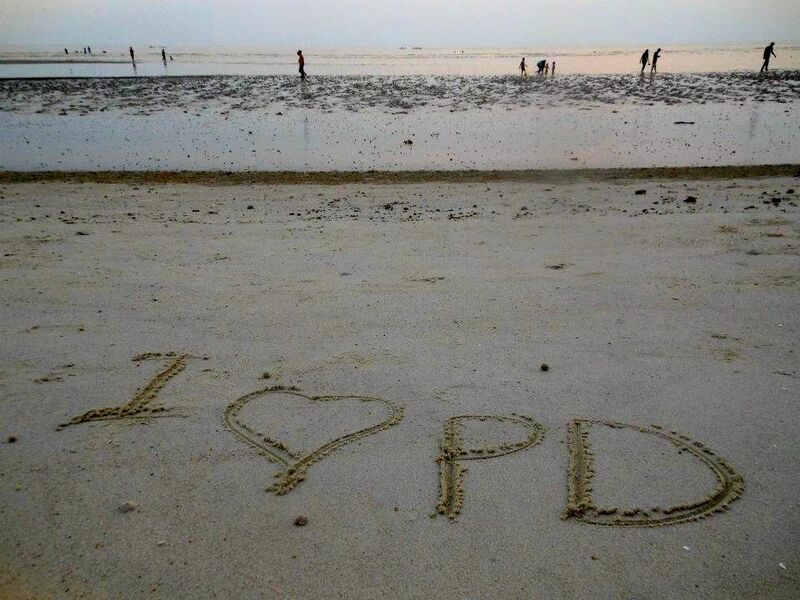 It is not one of Malaysia’s better beaches. We retraced our route back to Kota Kemuning. We rode along the coast for 7km / 4mi, and then along the Sungai Langat for 3.5km / 2mi. Just as the road veers away from the river, there is the option to turn left to Bukit Jugra, and a climb of 180 meters / 590 feet over 1.6km / 1mi. As is often the case, it had warmed up considerably by 11am. Luckily we were spared the full brunt of the sun. There were rain clouds over the sea, and it was overcast on the coast. It had rained the night before. The rising temperature had made it more and more humid, so everyone was dripping with sweat. We didn’t help ourselves by pushing a 30kph / 18.5mph pace. Once we had crossed the climb of the day – the bridge over the Sungai Langat – we were ready for a drink and a rest. 1.5km / 1mi from the river is Ross Cendol & ABC Santan Sawit. The stall is not much to look at from the back. But it has tables and chairs shaded from the sun by umbrellas. And of course, ice-cold and sweet cendol. It was about 30km / 18.5mi from Ross Cendol back to BR Maju Restaurant. By the time we left the cendol stall, those rain clouds over the sea had moved inland ahead of us. The wind picked up, especially as we neared the bridge over the SKVE. Fortunately, we didn’t get rained on. We got a bit splashed and splattered anyway. The roads between Bandar Rimbayu and BR Maju Restaurant were very wet. Apart from Leonard’s mechanical, that was the only blemish on the ride. Nice roads, good weather, and excellent company. What more can a group of cyclists ask for? 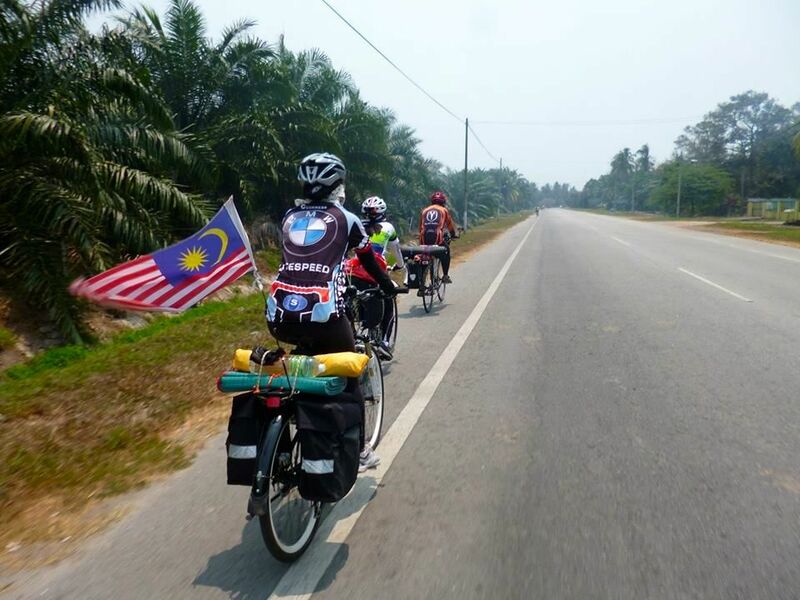 Posted in Cycling in Malaysia and tagged Bandar Rimbayu, Banting, BR Maju Restaurant, Cendol, Cendol Santan Sawit Mak Lang, Delicious Bread Coffee Shop, Jalan Klang Banting, Jenjarom, Kota Kemuning, Morib, Nasi Lemal, Ross Cendol & ABC Santan Sawit, SKVE. Bookmark the permalink. The weather has not been kind lately to Kuala Lumpur. It has been very hot and dry. The month-long drought has had two effects. One is that water rationing has been imposed. The other is that forest and peat fires have sprung up, driving air quality to unhealthy levels. 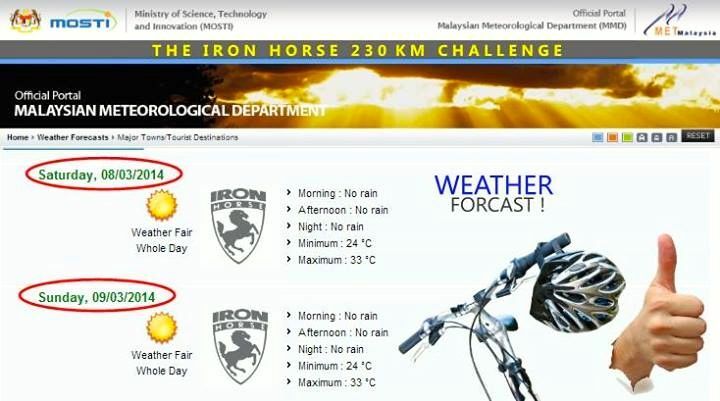 It is no wonder Dave Ern posted weather and haze updates in the days leading up to the Iron Horse ride. 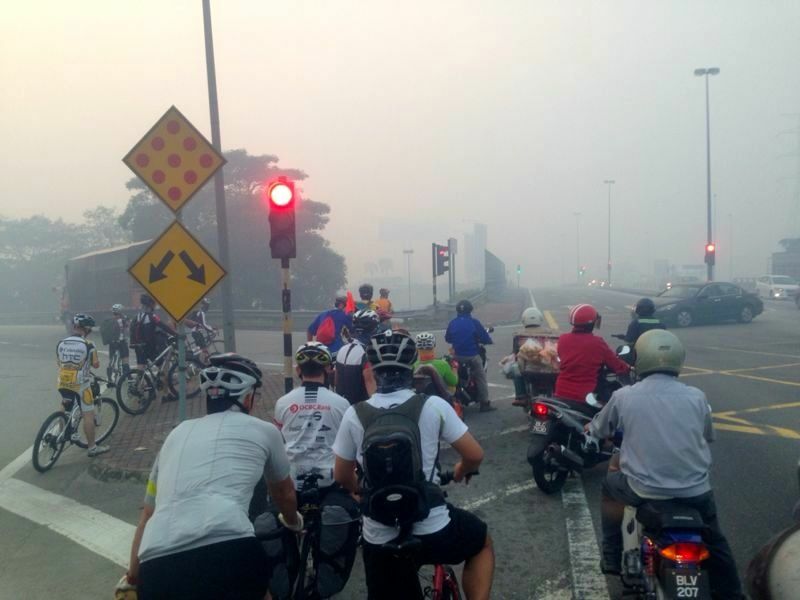 The main concern was the haze. The air quality was in the moderate range on Wednesday. Conditions deteriorated as the weekend approached. By Saturday the API value was in the unhealthy range. Nevertheless about forty people gathered in the car park at GM Klang for the start of a two-day round trip ride to Port Dickson and back. The ride would take us out to the coast at Morib. 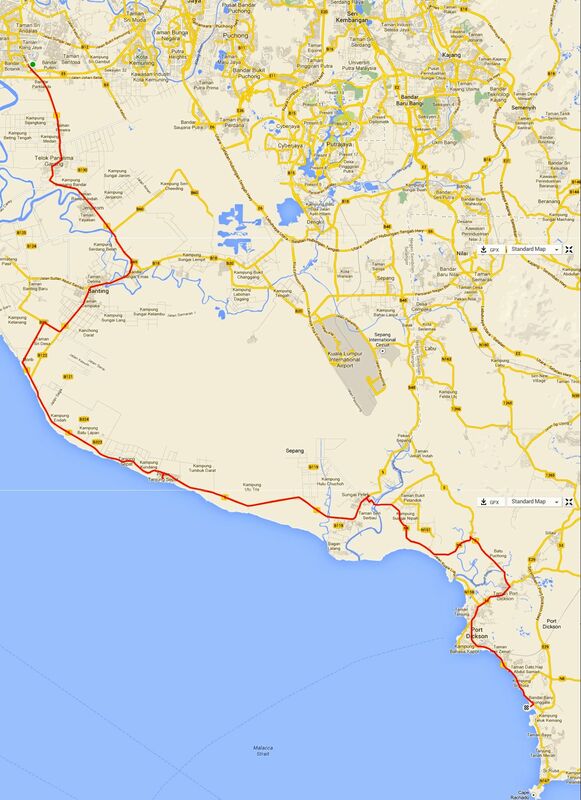 We would then ride south along the coast to Port Dickson. The early going was not pleasant. This was on the way out of Klang enroute to Banting. The air quality got worse the closer we got to Morib. Many of us had masks or bandannas over our mouths and noses. I had neither, but made sure that I was breathing through my nose rather than through my mouth. There was little we could do about our stinging eyes though. Except hope that the air would be clearer and cleaner along the coast. At Morib we should have been able to see the beach and the sea. We couldn’t. It was not until we got to Tanjung Sepat, about halfway to Port Dickson, that the haze started to clear. At that point I was in a group of six cyclists that was ahead of the other riders. Traffic lights, flat tires and other stops had slowed the rest down. The six of us made our first stop at Tanjung Sepat. Soft boiled eggs, buttered toast and kaya, and iced tea for everyone. The wind had picked up by the time we got rolling again. Not so good that it seemed to be a constant headwind. Very good that it cleared the smoke and haze. 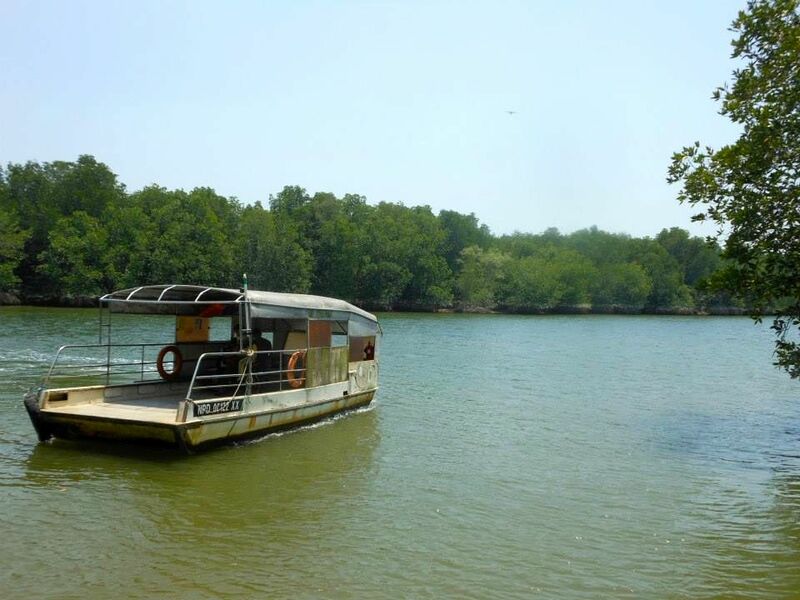 At Sungai Pelek we took a detour through a housing estate and an oil palm estate to get to the little ferry that crosses the Sungai Sepang. We got onto the ferry in the state of Selangor, and disembarked a few minutes later in the state of Negeri Sembilan. This is the Selangor side of the river. The first half of the ride was a battle through the smoke and haze. The second half of the ride was a battle though the heat. We stopped for cold drinks and ice cream at Sungai Pelek. We stopped for more cold drinks and ice cream 15 km later on the outskirts of Port Dickson. We had only 10 km further to go, but it was so hot. We had to rehydrate and cool down. 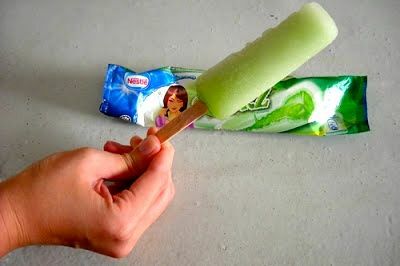 I dove into the freezer cabinet and discovered Nestle Apple Sourz iced lollies. They were so good, and I was so hot, that I had three of them. Those frozen treats, and the air-conditioning in the 7-11, cooled me down enough to face the final 10 km to the Avillion Hotel. Twenty five hot minutes later the six of us rode up to the lobby of the Avillion Port Dickson. Our relief at arriving at our destination was short-lived. 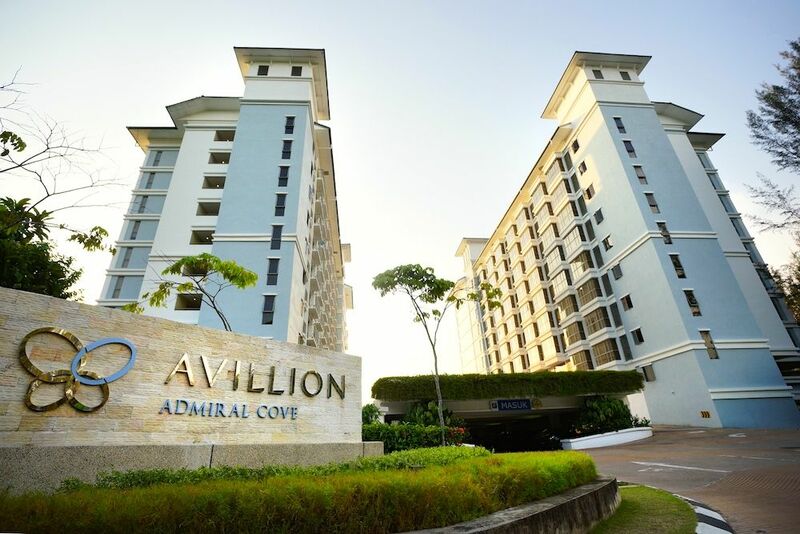 There are two Avillions in Port Dickson, and we were at the wrong one. So we had 5 km more to cover before we got to the Avillion Admiral Cove. The other Flipsiders had made a stop along the way for clay pot chicken rice. They arrived later but not as hungry as I was. I was thankful for a cold shower and air-conditioning. My young riding partners were staying at the Best Western. A further 15 km down the road. They hung out for quite a while in the lobby of the Avillion Admiral Cove, waiting for their friends. The most adventurous ones in our group camped on the beach. 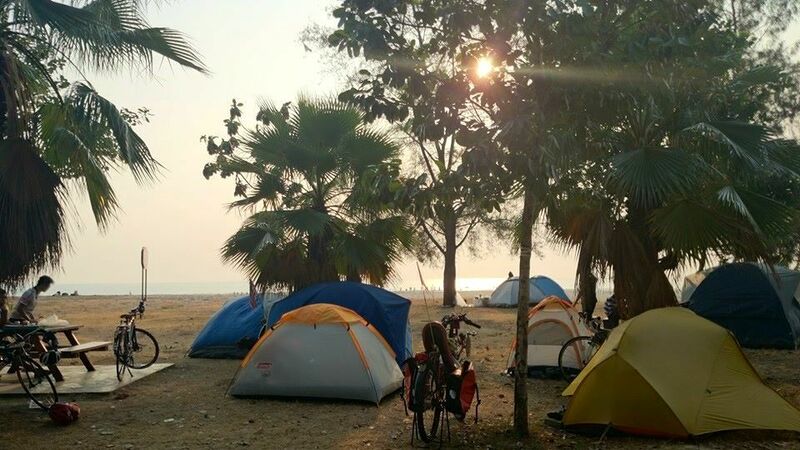 These true tourers packed up their tents the next morning and rode the 115 m back to Klang. 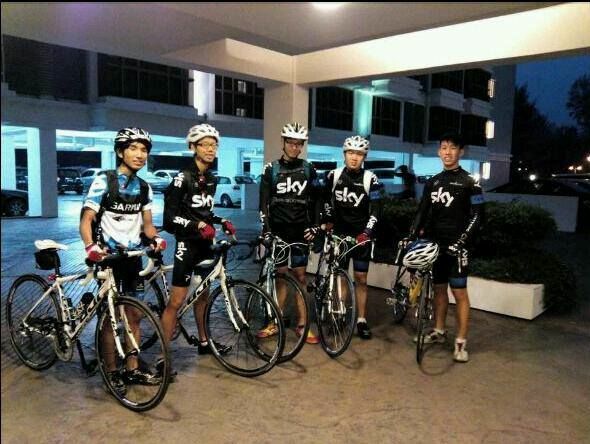 The guys I cycled together with did the return trip also. 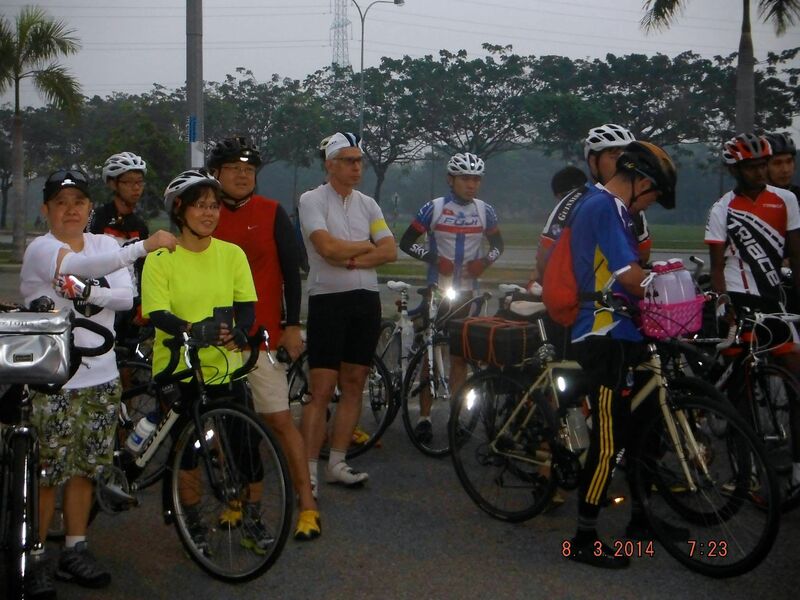 These guys rode an extra 20 km to get to the start at GM Klang. 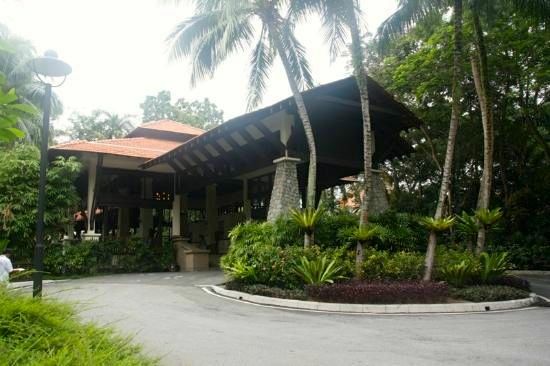 They then had an extra 15 km to the Best Western Resort in Port Dickson. So in all they rode about 315 km. I took the easy way back home. As a passenger in my biker chick’s car. The ride was smokey. The ride was hot. Given the chance I am sure we all would do it again. 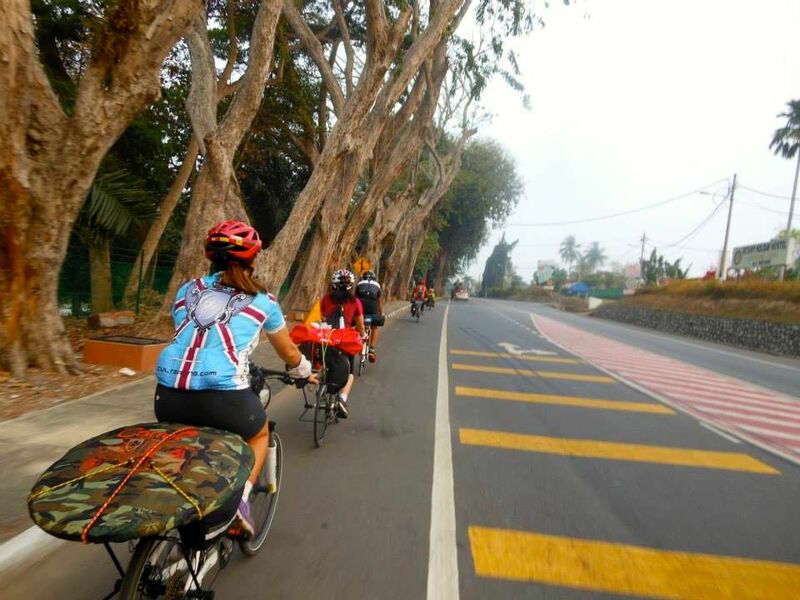 Posted in Cycling in Malaysia and tagged Avillion Admiral Cove, Avillion Port Dickson, Banting, Dave Ern, GM Klang, Morib, Port Dickson, Sungai Pelek, Tanjung Sepat. Bookmark the permalink.